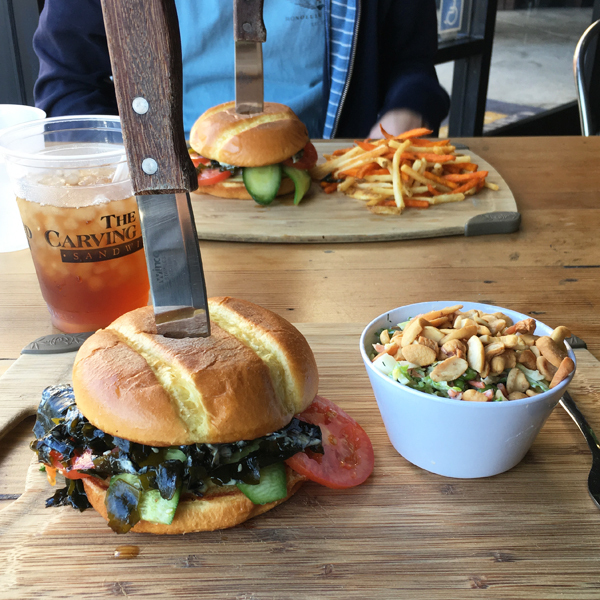 We had lunch at “The carving board” in West LA last Saturday. I ordered a seared ahi tuna sandwich with marinated seaweeds and an edamame coleslaw. Like the restaurant’s name, they serve the food on a carving board. And a knife was in the sandwich! This is a really nice place, it has good food and a relaxing atmosphere.